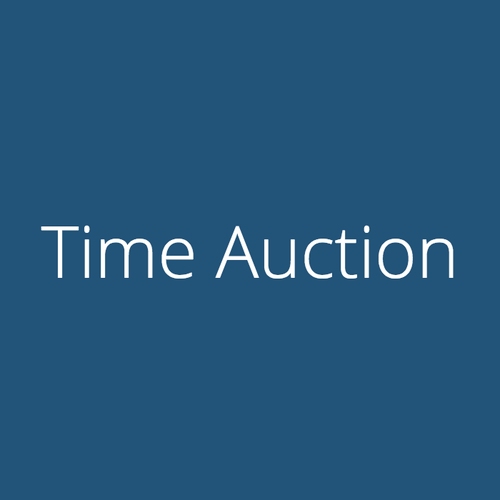 Time Auction allows users to bid on non-monetary rewards using volunteer hours instead of money. Since its inception, we have raised over 8,000 volunteer hours for more than 50 different charities. With my new-found coding skills, I took this initiative online to ensure a more sustainable and widely available platform for this awesome activity. The site can be found at www.timeauction.org. I started Time Auction back in third year at Queen’s University. We got local businesses to donate desirable products then we got people to bid for them using volunteer hours as the currency. For example, you might bid 30 hours working for the Red Cross to try and win an iPod Touch. Someone else might out-bid you with 35 hours working for Engineers Without Borders. These live Time Auction events are fun and interactive, especially because we have a professional auctioneer volunteer his or her time. Prior to the event itself, we have a charity fair, where we invite local charities to come and share some of the volunteering opportunities they offer. With an online platform, we aim to create a continuous stream of bid prizes and volunteers, and cut out some of the overhead required in running an event. Also, we hope to increase the number of people who can bid on each prize - there are only so many you can squish into an auditorium! We also hope to create a new bidding style, whereby there’s a minimum number of hours that must be bid (but no maximum). Each hour that is bid equals an entry into the draw to determine who wins the auction. We believe this type of bidding will drive up social buzz, increase participation, and - most importantly - increase total hours volunteered.